Phakamisa is all about people and we are benefited by our team of highly skilled people, both volunteers and paid employees. Together with Thokozani Poswa, our Phakamisa Director, we have a paid staff of 25 full and part time teachers, trainers and mentors many of whom live in the communities we serve and are experienced and knowledgable community workers. We are a hard working, committed, flexible people, devoted to being a sign of the Kingdom of God in a broken world. Qualified teachers Cathy and Dumazile instruct the Educare and Childminder students on how to teach pre-school skills. This requires great skill and understanding of the starting point of many trainees. Jabu, Sheila, Smangele and Zandile are our monitors who assist the students both at the workshops and then back in their own situations to implement the learning. Their work is critical to the success of the project. 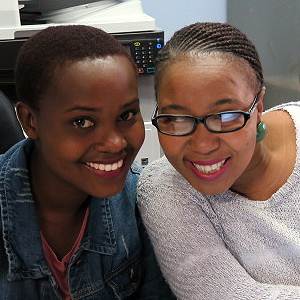 Wandering teachers Normalanga and Thandi, Phakamisa trained work in informal settlements and the poorest of communities. Our trainers understand the needs of the community and our skilled teachers in:- Nellie – beadwork, Zola – cooking and baking, Alexia – sewing and parenting skills. All three are trained and teach adult literacy. 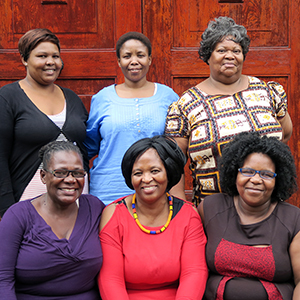 Eunice, Magugu, Thabi, Fikile, Mamsie, The Caregiver monitors are local speaking Zulu women who assist the Caregiver trainers and help the Caregiver leaders implement their workshop learning back home with regular visits to the groups. Our monitors have very effectively, over the last few years instructed the leaders in Home Based Care. 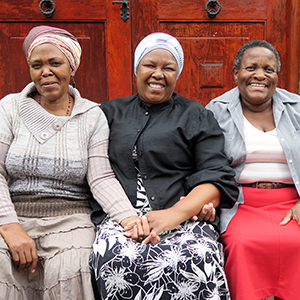 Thabi, Eunice and Mamsie also teach adult literacy. Mr Themba Vincent (TV) Kubheka – our driver who does the ‘bread runs’ and so much more. Christopher Hlenga – our caretaker who keeps our Phakamisa classrooms, offices and working areas clean and tidy. Phakamisa benefits hugely from a wealth of volunteer work, both at Pinetown and in the communities. 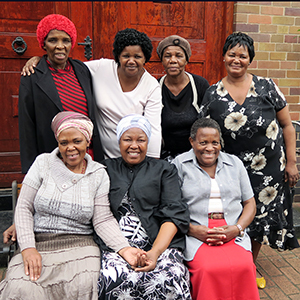 Volunteers from Pinetown Methodist Church are actively involved in many practical and administrative ways. In the communities the staff of many of the crèches supported by Phakamisa work for little or no financial reward as their fees cannot be afforded. Caregivers do their work without any reward and without them more than 6,000 children would be totally destitute and abandoned. Thokozani married to the late Poswa is a mum of three, two girls and a boy, born from a Christian family she grew up at Ntuzuma Township. A social worker by profession she studied at the University of Natal. Neil Purdon our Chairperson who heads the committee of 10 volunteer people who invest their time to support, advise and govern the work of Phakamisa. 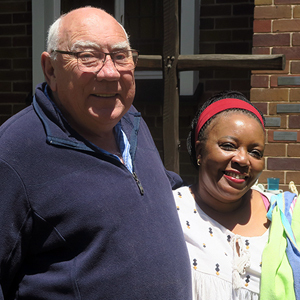 Rev Brenda Timmer is the senior minister at Pinetown Methodist Church whose responsibilities include the care of the ministry which is Phakamisa. 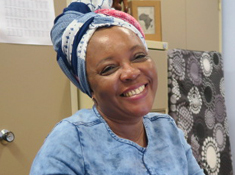 Thokozani Pozwa – our Director who daily works for and leads the project.